This months product from the Foodbuzz.com Tastemaker Program was Fiber Plus cereal. I received two boxes of Kellog's new Fiber Plus cereal - Fiber Plus Berry Yogurt Crunch and Cinnamon Oat Crunch. Both cereals tasted great and contained at least 35% of your daily fiber. Not bad! Chicken Legs immediately gobbled up the box of Berry Yogurt Crunch (we've already bought another box). I knew I better act fast with the Cinnamon Oat Crunch cereal or I would be out of luck for any baking. I found a recipe for snickerdoodle cookies with Cheerios mixed in. I immediately thought that the Fiber Plus Cinnamon Oat Crunch cereal would be perfect in a snickerdoodle since they have the same flavors. The cookies were fantastic. They were crispy and airy, just like a snickerdoole is suppose to be. We devoured these cookies - just making sure we got our daily fiber intake, of course! Mix together flour, oats, baking powder, baking soda, cinnamon and salt. Set aside. Beat butter and both sugars together on medium speed for about 2 minutes. Add in the egg and vanilla beat for an additional minute. Turn the mixer to low and slowly add in the dry ingredients until well blended. Fold in Fiber Plus Cinnamon Oat Crunch. Chill the dough for 2 hours, as dough will be too soft to roll in sugar without chilling. Once chilled, roll dough into balls and roll in cinnamon sugar mixture. Bake for 12-14 minutes in a 375F oven (let them sit on the cookie sheet for at least 5 minutes before moving cookies to a cooling rack). Sounds like a good product. We've been eating more cereal lately. Wut. Those look awesome, two of my favorite kinds of cookies in one! 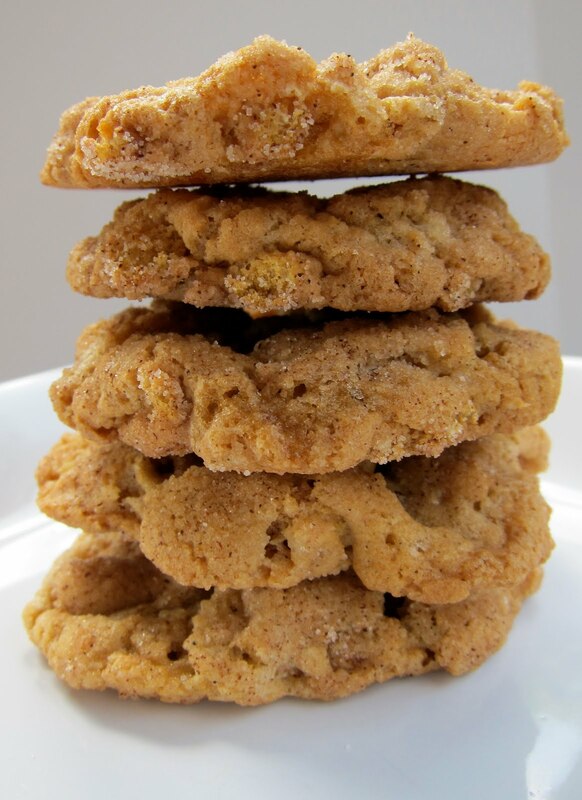 That daily fiber is important- good reason (as if I needed one) to eat more snickerdoodles! These look yummy! Steph these look just too good! My mouth is watering. I wish I could pick one out from my screen!